Philmont Scout Ranch is the Boy Scouts of America’s largest national High Adventure Base. It covers 137,000 acres about 214 square miles of rugged mountain wilderness in the Sangre de Cristo (Blood of Christ) range of the Rocky Mountains in northern New Mexico. 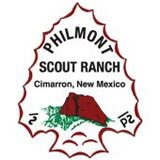 Philmont Scout Ranch operates 34 staffed camps and 55 trail camps. Philmont has high mountains with rough terrain and elevations that range from 6,500 to 12,441 feet. You and your crew will embark on a great outdoor Scouting experience hiking one of 32 treks. Your Philmont trek will leave you with lasting memories and lifetime values. It will change your life forever! As part of the Seneca Waterways Council Contingent all travel plans, transportation and activities are included. Individual Scouts and groups of Scouts from a Troop or Troops may join the Contingent. All crews within the contingent are based on 8-10 Scouts and 2-4 adult advisors, maximum size being 12 per crew. Airfare is estimated at $750 per person round trip, if airfare is secured for less than $750 the difference will be refunded to the participant upon the trips conclusion. Due to vendor agreements, all fees paid are non-refundable but are transferable to another qualified individual.